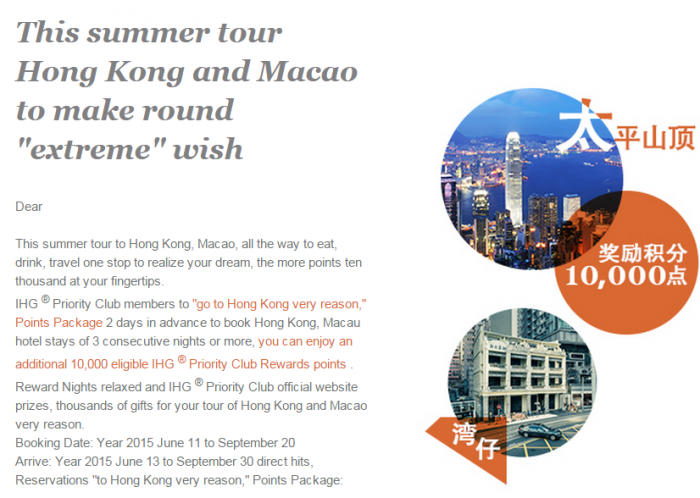 IHG Rewards Club has launched a promotion for 10,000 bonus points per stay of 3 nights or longer in Hong Kong & Macau between June 11 – September 30, 2015. You must book a specific rate code offer (embedded in the links below) and book the associated rate minimum of 2 days before of your stays. 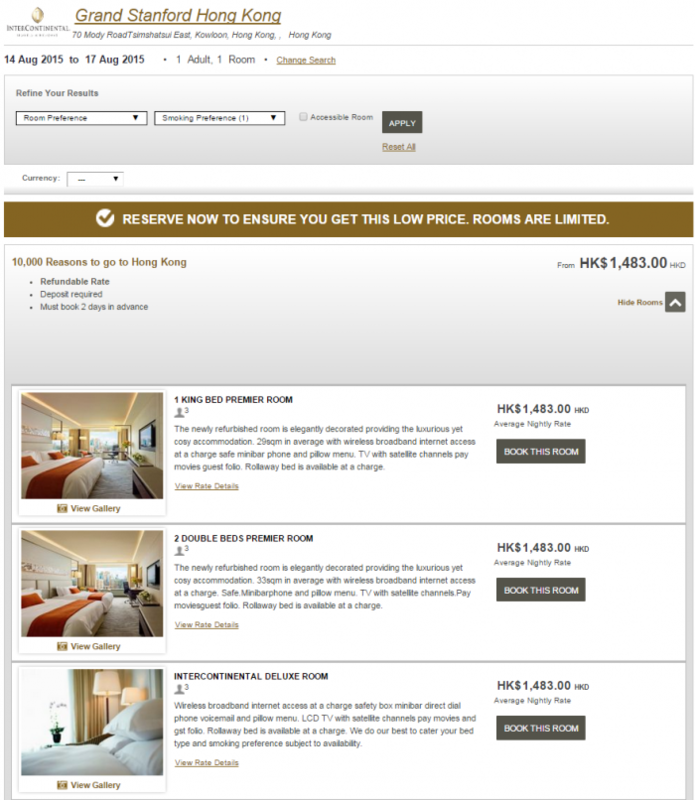 You can make your IHG Rewards Club reservations here. Seems that the rate is tied to the advance purchase rate and not to the Best Flexible one that is usually the case with these bonus points offers. Also, the rate is not inflated at all. This seems to be a real offer (read you are not paying for the points) based on the example that I checked. Remember that these points count towards the status with IHG Rewards Club as they are consider rate related bonus points.